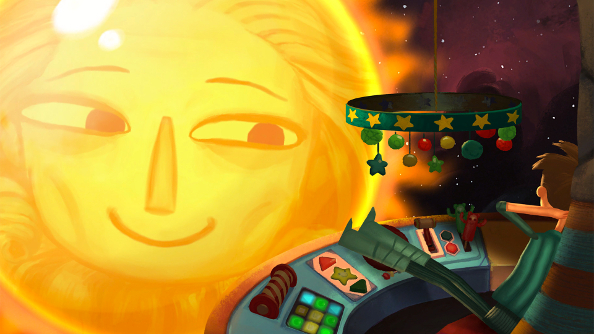 Four years ago, I looked at adventure games with wide-eyed optimism. After over a decade of struggle, it seemed like the genre that first made me a PC gamer was making a comeback. Between the countless AGS games from indie developers, Telltale’s resurrection of Sam & Max and Monkey Island, and triple-A successes like LA Noire, it looked like players and publishers had faith in adventure games again. This was before Kickstarter, even before Telltale’s The Walking Dead, but the future was already looking surprisingly bright after years of agonising lack of interest. I may have even used the phrase “adventure game renaissance” a couple of times, making a fool of myself in front of everyone. Now it’s 2016 and it almost looks like we’ve managed to arrive in the best possible future; one that couldn’t have been imagined a decade ago. We’re swimming in a sea of new adventures, spoiled with variety… but all is not well. It’s a tumultuous ocean, and modern adventure games are struggling with an identity crisis and an image problem. Over the last few years, adventure games have evolved faster and more dramatically than perhaps any other genre. The once dominant point-and-click adventures remain, but they now share space with story-driven episodics that swap out traditional puzzles for moral conundrums; surreal, psychological explorations; and so-called walking simulators. It’s now as broad as a term can be. 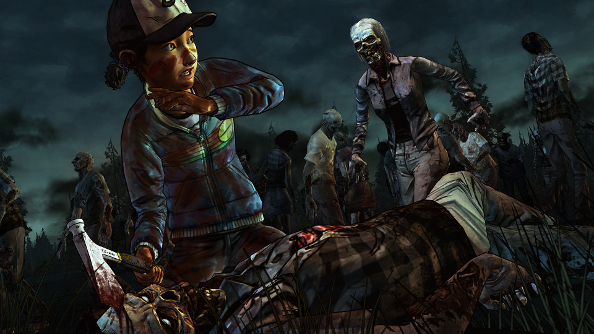 The transformation of the genre can most clearly be seen through Telltale’s evolution. In early 2012, they were still making puzzle-laden adventure games that were, mostly, direct continuations of classics. They were generally well received, but also firmly rooted in the past. Then came The Walking Dead. The very first episode was unusual. The focus on relationships and choice-filled dialogue was intriguing, but the puzzles, the few of them that existed, were horrifically trite and stupidly simple. Eventually, puzzles were almost thrown out entirely, as Telltale poured all their efforts into agonising decisions and ethical quandaries. And in the years following, they’ve stuck to that formula. We’re used to it now, but not all that long ago it was sort of a big deal to make an adventure game absent puzzles. It was an even bigger deal to make one without puzzles that was still extremely engaging. It was bizarre, really. Here was a studio with a legacy that went back to the heyday of LucasArts saying, “We don’t need puzzles anymore.” The blueprint was completely rewritten. It should have been great for adventure games. In the ‘80s and early ‘90s, they drove PC tech and pushed gaming forward by developing new ways to interact with digital worlds. The genre that is now so often considered ‘retro’ or ‘old school’ was once considered experimental and innovative. 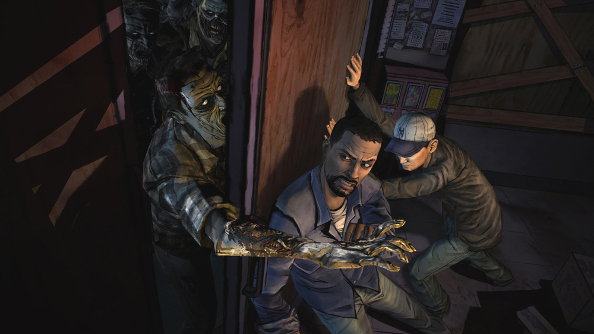 The Walking Dead, then, was continuing this tradition of giving gamers new experiences. Somewhere along the line, however, Telltale started to distance themselves from the genre. You’ll see their games described as episodic games or a Telltale Games series, but rarely adventure games – at least not by them. It was almost as if people decided that, no, you couldn’t make an adventure game without proper puzzles, but that’s a very small-minded way to look at the genre that brought us titles like Police Quest, with its simulation of the minutiae of law-enforcement work, or Sherlock Holmes: Consulting Detective, which replaced puzzles with information gathering and witness pestering. It feels like people have forgotten what adventure games can be, and developers are just as culpable. When they do think outside the box, however, they end up taking quite a bit of punishment. Mentioning a game like Gone Home or Dear Esther is like giving people an open invitation to explain to you that you are not talking about a game. A Snickers bar isn’t a game. My socks aren’t a game. Gone Home most certainly is. But it’s silly to argue, just as there’s no point in debating with someone who thinks that the Earth is flat. Walking sims have the mystery, interactivity and narrative focus of adventure games, but it seems like their lack of puzzles and understated nature have precluded them from being given a spot in the genre. They can have puzzles, of course (see Ether One), but that apparently doesn’t matter. And it’s an awful shame. Who cares what they’re called? It’s just semantics, right? I am of course going to say no, or this article would end very abruptly. By giving them new labels and saying that they aren’t adventure games, it only feeds into this strange idea that adventure games are archaic and creaky instead of the diverse and experimental games that they’ve always been. 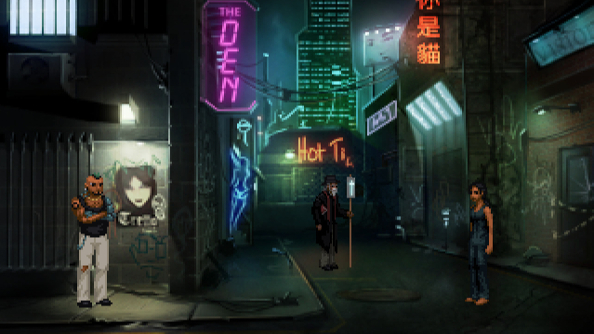 Last year, Wadjet Eye Games released Technobablyon, one of the best adventure games in years. It was a beautiful, smart, creative cyberpunk romp with a strong investigative bent. It was a 2D game with pixel art. Everyone and their mum hailed it as retro. This has become unfortunate shorthand for pixel art adventure games, and it does them a great disservice. It implies that the game deals in nostalgia, and if you don’t have fond memories of adventure games from the ‘80s and ‘90s, then this isn’t for you. But this couldn’t be further from the truth. The pixel art aesthetic is hugely popular, and there are – given the bewildering number of games that come out every week – probably more pixel art games now than there were 20 or 30 years ago. The style is thoroughly modern. As is the rest of the Technobabylon. The fleshed out, believable characters, the organic puzzles that don’t feel like stoppers to artificially lengthen the game, the superior dialogue and ethical debates – none of these things are old fashioned. Last year, when Steam Spy appeared, Dave Gilbert, Wadjet Eye’s founder, wrote a blog about the company’s sales figures. The year before, the final game in the critically lauded Blackwell series had launched. 12 months later, Blackwell Epiphany had sold less than 8,000 copies, though this is just on Steam. Due to the price point and the small size of Wadjet Eye, Gilbert considered it a success, but it’s still a small number for the finale of a series held in high esteem. Gilbert noted that the main reason for the figure was that it had not been in any major sales or part of any bundles. In comparison, the Steam version of Gemini Rue, which launched several years before, had sold around 230,000 copies. It had also featured on Humble Bundle and in massive Steam sales. Masses of people will spend over £20 on an episodic game that could take anywhere between six months to a year (or more) to conclude, but £15 for a finished adventure game seems to be too much. Is it because of the retro stigma? Maybe, but Broken Age makes me have some doubts. 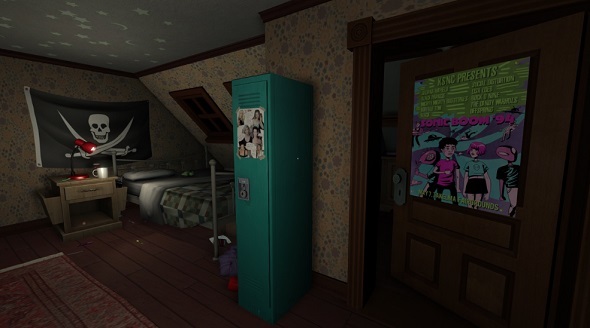 Double Fine’s Kickstarted adventure is significantly more traditional than the likes of Technobabylon or Blackwell. It’s gorgeous, well-written and occasionally clever, but ultimately suffers from dreadfully simple, often quite dull puzzles that are even less creative than conundrums conjured up 30 years ago. It isn’t innovative; it’s as conservative as a Victorian gentleman getting angry about a woman revealing her ankles. It isn’t rendered in pixel art, though, so I suppose it can’t be retro. Admittedly, games like Technobabylon are rare. Your average modern point-and-click seems to be developed by people trapped in ice, trying to recapture old magic, forgetting that what made the classics they ape so successful was their ambition and their developers’ willingness to try new things. 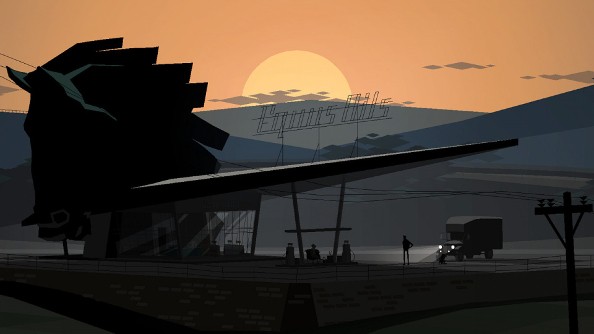 They used to be forward looking, but now, for every Kentucky Route Zero, there’s an experience designed by someone who thinks that adventure games never advanced after LeChuck’s Revenge. Perhaps it’s because the puzzles are what we remember first, when we look back at classic adventures. The obstacles we overcame, especially in the days before readily accessible walkthroughs, are etched in our memories, but that doesn’t mean they should hold the entire genre to ransom. Without the exploration of new worlds, the compelling stories, the peculiar mysteries, the puzzles would just be contextless brain teasers. This identity crisis and image problem can be overcome, though. Life is Strange managed it. I will fight anyone who says that it isn’t an adventure game – it’s got all the traits, including puzzles. Seriously. Come to my flat in Paisley and we will brawl. 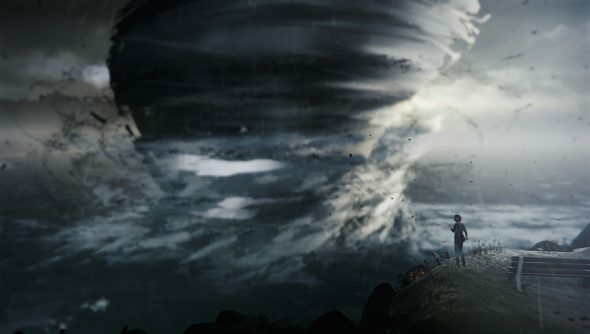 Dontnod’s surprisingly affecting, charming time-bending series manages to unite the disparate subgenres, combining the Big Decisions™ of games like The Walking Dead with a genuine mystery full off – admittedly simple – puzzles. It’s sly, too. 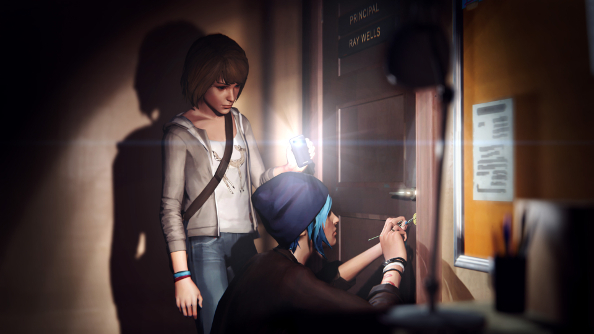 Perhaps in an effort to appeal to Telltale’s fans who have become more used to navigating tricky conversations and trying to save survivors instead of working through devilish head-scratchers, almost all of Life is Strange’s puzzles are tied to the game’s central time manipulation mechanic. This way, one feels like they’re messing with the laws of time and space rather than solving a problem. It doesn’t feel like work; it feels like you’re playing God. They’re great puzzles, too. Exceptionally easy, sure – maybe too easy – but they’re fun, it feels empowering when you solve them, and most importantly, the solutions always make it feel like you’ve made real progress. One of the cardinal sins of adventure games, and one that’s frequently an issue in modern ones, is forgetting to make overcoming a problem feel like an achievement, but Life is Strange manages to do it almost every time. Growing pains are to be expected. For over a decade, adventure games were basically in stasis, while tastes and expectations changed. It would be wonderful to see point and clicks stop being beholden to 30-year-old genre conventions, but even more for visual novels and walking simulators to be more accepted. Time, I suspect, is key. It’s like someone hitting middle age and realising they have to start all over again – and that’s terrifying. One of gaming’s oldest and once most celebrated genres has had to start from scratch, and it’s probably going to take a few more years to find its footing. So we wait; for people to accept that convoluted puzzles don’t make an adventure game great, that pixel art doesn’t mean vintage, and that walking sims are obviously games.